Loaded with more microbreweries than any other southeastern state, North Carolina is rightfully recognized as one of the country’s booming bastions of craft beer. While Asheville’s heavily concentrated collection of microbreweries may have made the town North Carolina’s capital of craft beer, one of the state’s most singular beer trails is just west of the city, in mountain-rippled, stream-laced Jackson County. Jackson County features an eclectic trio of breweries around Sylva. The Jackson County Ale Trail makes for a compact, craft-brew loaded pub crawl. 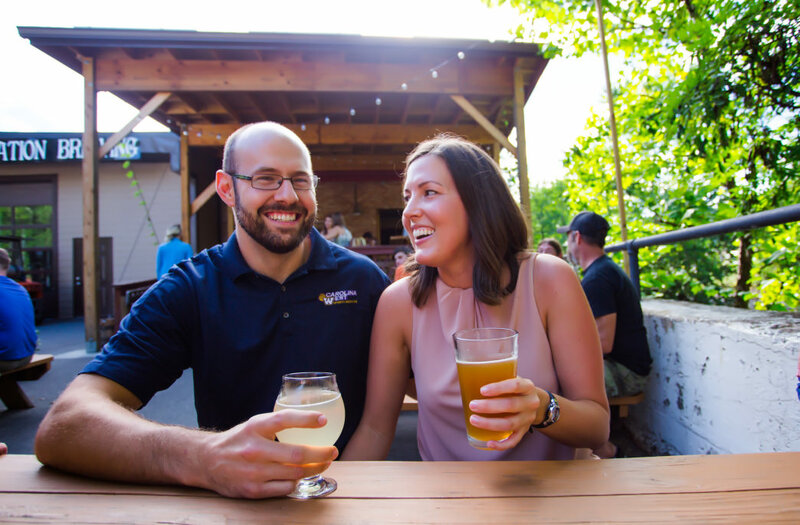 The scenic, mile-long route winds through picturesque Sylva, showcasing the town’s closely concentrated but eclectic trio of breweries—including Heinzelmännchen Brewing, Innovation Brewing, and the newly opened Sneak E Squirrel. The trail’s taprooms serve everything from time-tested classic ales, to outdoor-inspired seasonal brews, to experimental flavor fusions with limited release, guaranteeing Sylva’s collection of craft breweries will proffer a pints sure to satisfy even the pickiest palates. The ale trail’s first stop is the Sneak E Squirrel, the most recent arrival to Sylva’s craft brewing scene, opening last year in a creatively repurposed car dealership. The tap list at the newly minted microbrewery is largely driven by inspired interpretations of classic European-style ales, punctuated with inventive fusions like the Pepper Squirrel Habanero IPA. The Sneak E Squirrel features creative interpretations on classic European-style ales. The Sneak E Squirrel’s breadth of beers includes options like the 221 Sneak E, a traditional English bitter; the Clockwork Zombie, a Belgian wit style beer infused with hints of cherry and pomegranate; and the full-bodied Parrot Porter. The whimsical hangout includes barroom treasures like billiards and ping pong, and you’ll find the place scattered with assorted board games, including rarities like Star Trek Catan. The brewery also dishes up an imaginative menu, with elevated munchies like fried green tomatoes and truffle fries. Specials include the likes of Riblettes served with Bananas Foster and playful plates like the Pork Belly BLT and the Fat Elvis—a sandwich loaded with bacon, peanut butter and fried bananas. Best of all, the menu even includes suggested beer pairings for every dish. For artsy ale enthusiasts, the Sneak E Squirrel is also the perfect place to pick up an original work. The brewery showcases the work of local artists—offering an array of unique pieces for sale, with displays changing every two weeks to highlight different contributors. 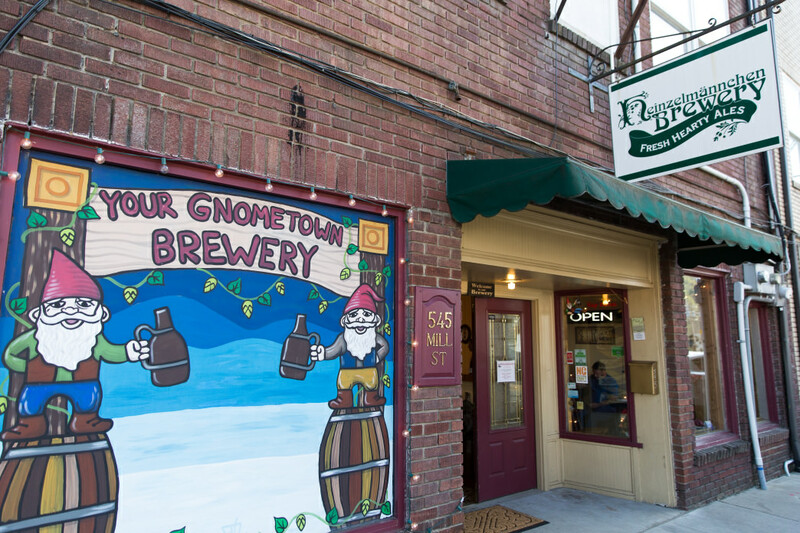 After the Sneak E Squirrel, mosey along to the Heinzelmännchen Brewery in downtown Sylva, the second stop on the ale trail, and the town’s longest-standing microbrewery. 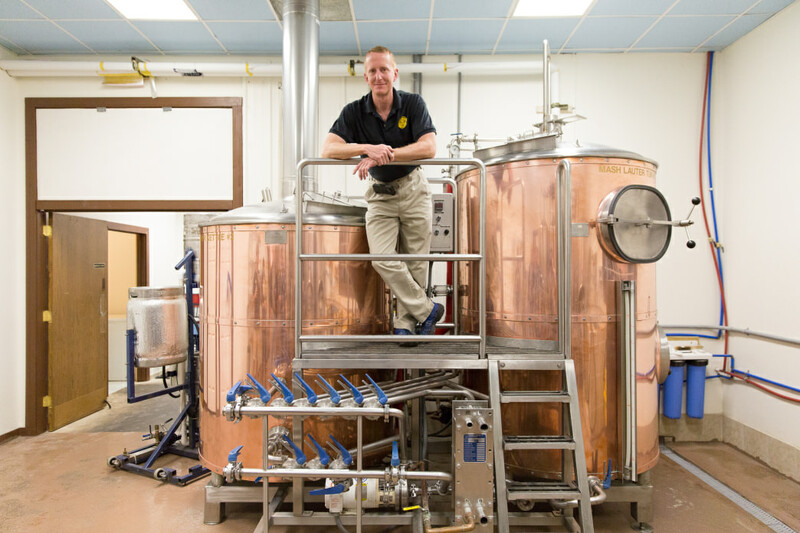 Heinzelmännchen’s German-born brewmaster Dieter Kuhn has been crafting Bavarian-inspired beers at the location since 2004, alongside his wife and brewery co-owner Sheryl Rudd. Heinzelmännchen is Sylva’s oldest microbrewery. The brewery’s cozy and casual taproom serves well-rounded collection of ales, with offerings like the Ancient Days Honey Blonde Ale, a crisp, pilsner-style beer infused with locally harvested honey; the rich Black Forest Stout, flavored with notes of roasted coffee and caramel; or the hearty but highly drinkable Middleworld Brown Ale, with a flavor profile distinguished with slight traces of toffee. Heinzelmännchen’s beers can also be interspersed with samples of the brewery’s nostalgia- inducing offerings—non-alcoholic root beer and autumn red birch beer, also available both by half-gallon or the keg. To round out the authentic Bavarian beer hall experience, the brewery offers locally made soft pretzels served with Asheville-produced Lusty Monk mustard. Behind the scenes at Innovation Brewing. Finally, cap off the Jackson County brewery crawl at the ale trail’s third stop, Innovation Brewing. Boasting the lengthiest beer list of Sylva’s three breweries, Innovation Brewing has more than 30 different options on tap, pouring everything from beloved year-round mainstay brews to experimental ales and rotating seasonal options. 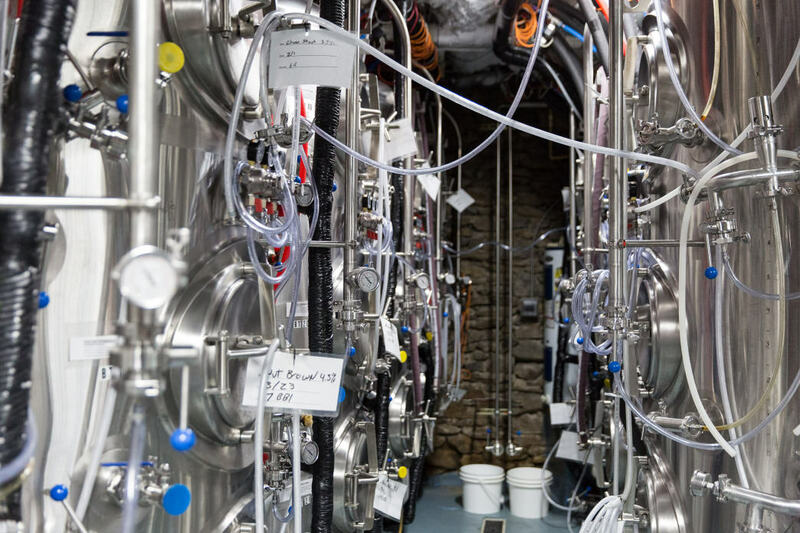 The extensive beer selection at the three-year-old brewery includes constants like the Afternoon Delight Blonde Ale, the Hoppy Camper IPA, and the Nitro Irish Stout, mingled with rarities and seasonal brews like the Nitro Coffee Blonde, the Orange Berlinerweiss, and the Beet and Basil Pale Ale. Aside from the beers, the beloved Sylva-based food truck Cosmic Carryout is also reliably anchored in the brewery’s outdoor beer garden on a daily basis. The laidback location also regularly hosts live music, featuring shows on Saturday nights. Earlier this year, the environmentally conscious brewery also took an ambitious step to reduce the location’s energy footprint by mounting 100 solar panels on the location’s rooftop.